Mark Evgenievich Taimanov was born in Kharkiv, Ukraine (formerly USSR) on February 7, 1926. His parents were Jewish. His mother was a piano teacher and his father was a construction engineer, who built several theaters in Leningrad (now St Petersburg). He was one of four children. Mark learned chess from his father, a passionate chess player. In August 1926, his family moved to Leningrad. In 1933, he started taking piano lessons at a musical school in Leningrad. In 1936, Taimanov was studying at a music school and he was selected to play a leading role as a young violinist in the Soviet film "Beethoven Concerto." Taiminov did not know how to play the violin (he was a piano student), but he learned how to play it from scratch. Taimanov spent a year learning the violin. The film was released in 1937. It was a success and was later awarded first prize at the International Film Festival in Paris. Years later, Isaac Stern, the great violinist, told Taimanov that he had seen only one Russian violinist hold the violin properly, and that was in the movie "Beethoven's Concerto." Taimanove replied, "That wasn't a violinist. That was me! In late 1937, he was invited to the official opening of the Zhdanov Palace of Young Pioneers in Leningrad, where he was asked to select an activity. He selected chess and joined the Leningrad chess school, directed by Mikhail Botvinnik. His first chess teacher was Alexei Sokolsky (1908-1969), followed by Grigory Levenfish (1889-1961). In 1938, at the age of 12, he was the youngest second-category (1800-2000) player in Leningrad. By 1939, Taimanov was a first-category player and Leningrad schoolboy champion. In 1941, he was Leningrad's best junior chess player. The Leningrad chess school was later closed because of the World War II. Taimanov was evacuated before the German siege began. In 1945, he resumed his music studies at the Leningrad Conservatory, where he met Lyubov Bruk, a fellow student. They formed a piano duo. Taimanov studied under Samari Savshinsky. In 1945, Taimanov was awarded the "Master of Sport, USSR" title for his chess. In early 1946, Mark Taimanov married Bruk (both age 19) and they performed as a concert piano duo for the next 25 years. Soviet regulations prohibited married couples from traveling together in the West, so they remained relatively unknown outside the Soviet bloc. They toured for many years in the USSR and many other countries in the world. In 1947, Mark and Lyubov had their first child. Taimanov would have twins 57 years later with his 4th wife. In 1948, he won the Leningrad championship. He then competed in the USSR championship and took last place. In 1949, he took 3rd-4th place in the 17th USSR championship. In 1949, he won the Latvian championship. In 1950, Taimanov won the Leningrad championship, followed by Viktor Korchnoi. In 1950, he took 2nd-4th at Szczawno. In 1950, he was awarded the International Master (IM) title. From 1950 to 1956, he was among the world's top 10 players, and was regularly in the top 20 for 25 years. In 1951, he took 6th-8th at the 18th USSR championship. In 1952, he won the Leningrad championship. In 1952, Taimanov played in the World Student Championship, held in Liverpool, England. Joseph Stalin signed off the request for his trip. Taimanov and Bronstein tied for 1st place. In 1952, he took 2nd-3rd place in the Saltsjobaden (Stockholm) Interzonal. In 1952, he tied for 1st place in the 20th USSR chess championship, but lost the playoff match to Mikhail Botvinnik. In 1952, he was awarded the International Grandmaster (GM) title. In 1953, he played in the 15-player Candidates Tournament in Neuhausen-Zurich and was a World Championship Candidate after tying for 8th place with fellow Soviet Alexander Kotov. In February, 1954, Taimanov took 2nd-3rd in the 21st USSR championship, held in Kiev. Yuri Averbakh won the event. In 1954, Taimanov was part of a Soviet chess team that defeated Britain at Caxton Hall in London with the score of 18.5-1.5. In July 1954, Taimanov gave a piano concert in London and met Winston Churchill at a bar during a break. Taimanov asked what he was smoking and drinking. Churchill replied, "Cigars from Havana and Cognac from Armenia." In 1954, he took 2nd in the USSR championship. In 1956, he took 4th at Hastings. In 1956, Taimanov score 10.5 out of 15 in the Alekhine Memorial, held in Moscow, taking 3rd place, behind Botvinnik and Smyslov. He had a 2761 performance rating, his best individual performance in a chess tournament. In 1956, he won the 23rd USSR championship after winning the match-tournament playoff with Yuri Averbach and Boris Spassky. In 1956, Taimanov played first reserve for the Soviet team in the Chess Olympiad held in Moscow. He score 6 wins, 5 draws, and no losses to win the board bronze medal and helped the USSR team win the gold medal. In 1956, he took 1st at Budapest. 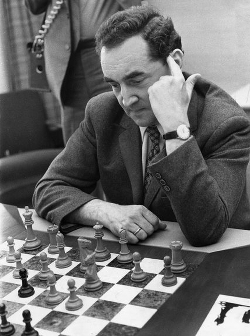 In 1957, Taimanov was ranked #5 in the world at the age of 30 years and 11 months. In 1958, he took 1st at the Tournament of Baltic Sea Countries in Leningrad. In 1959, he took 1st-2nd in Dresden. In 1959, he took 4th-5th in the 24th USSR championship. In 1960, he took 1st-2nd at Sanata Fe. In 1960, he won the RSFSR (Russian Republic) Chess Championship, held In Perm. In 1961, he won (jointly) the Leningrad championship. In 1961, he took 1st at Dortmund. In 1961, he took 1st at Rostov-on-Don. In 1962, he took 1st at Marianske Lazne. In December 1962, Taimanov took 2nd place in the 30th USSR championship, won by Korchnoi. The event was held in Yereven. In 1963, he took 1st at Luxembourg. In 1965, he participated in the Capablanca Memorial tournament in Havana. While in Havana, Taimanov played several chess games with the Cuban revolutionary Che Guevara. In 1965, he took 1st-3rd at Budapest. In 1965, he took 1st at Copenhagen. In 1966, he took 2nd-4th in the 33rd USSR championship, held in Tallinn. In 1966, he took 1st at Helsinki. In 1966, he took 2nd-4th at Harrachov. In 1967, he took 4th in the 35th USSR championship, held in Kharkov. In 1967, he took 2nd at Havana. In 1968, he tied for 1st wih Vasiakov in Reykjavik. In 1969, he took 2nd-7th at Venice. In 1969, he took 1st at Zalaegerszeg. In 1969, he took 3rd-5th in the 37th USSR championship, held in Moscow. In 1970, he took 1st at Wijk aan Zee. In 1970, he took 1st-2nd at Skopje. 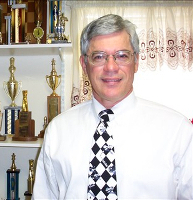 In 1970, he played board 7 in the USSR vs. World team mach. He defeated Wolgang Uhlmann of East Germany, scoring 2 wins, 1 draw, and 1 loss. In 1970, he was a World Championship Candidate at the age of 44 after participating in the Palma de Mallorca Interzonal, where he took 5th place. Taimaov played the Yugoslav grandmaster Milan Matulovic in the final round. Matulovic played weak and fast and Taimanov won easily. Viktor Korchnoi wrote that Matulovic sold his point for $400 (the money went to the Soviet Chess Federation) so that Taimanov could qualify as a Candidate. Starting in 1951, Taimanov and his trainers (Vasiukov and Balashov) spent much of their time analyzing Fischer's 500 chess games. In mid-1971, he peak rating was 2600. At the time, Fischer was ranked #1 in the world and Taimanov was ranked #13 in the world. In May-June 1971, he lost the quarter-final Candidates match in Vancouver, B.C. to Bobby Fischer, losing by the score of 0-6. The match was meant to take place in the hall of the University of Vancouver. Fischer insisted that the match be played in the library of the university with no spectators. They finally agreed on a middle-sized room with 200 spectators. I visited that room with Paul Keres in 1975 when I interviewed Keres during the World Class Championship (Keres won the event and I took 5th in my class). After Taimanov lost the first three games in a row to Fischer, he complained of not feeling well. His first medical examination showed that Taimanov had symptoms of heart palpitations. He was then taken to St. Paul's hospital in Vancouver and was given an electrocardiogram, with negative results. He was then diagnosed with high blood pressure and was ordered to rest for 48 hours before the resumption of the match. Fischer won his 6th game in a row against Taimanov on June 2, 1971. He had won 19 games in a row. Taimanov's trainer, Evgeny Vasiukov, blamed Taimanov's loss to malnutrition. Taimanov was trying to save money (he was allocated $11 a day for food by the USSR Sports Committee) and paid less for food so that he could buy some things he couldn't buy in the USSR. Taimanov never visited the restaurant of his 5-star hotel that he was staying at. He purchased cheap food products at a supermarket instead. After Tamanov's loss to Fischer, he returned to the USSR where Soviet officials took away his state salary and no longer allowed him to travel overseas. He was also banned from most social activities and was forbidden to have article printed by him. Even his public performance at the piano was forbidden. His title "Honored Master of Sport of the USSR" was taken away. The official reason given for punishing Taimanov was that he brought a banned book into the USSR (one of Aleksandr Solzhenitsyn's books — "In the First Circle") after a border search of his belongings. He was also carry U.S. dollars (banned), given to him by Max Euwe, who asked Taimanov to pass the currency on to Salo Flohr as a fee for a chess article that Flohr wrote. The authorities found out about the cash after tapping his phone and listening in on his conversations. Mikhail Botvinnik accused Taimanov of deliberately throwing the chess games because Taimanov had bet money against himself. Taimanov was summoned to the USSR Chess Federation Trainers' Council and was told that his loss to Fischer was the biggest setback in the entire history of Soviet chess. The Council asked for an explanation for his horrible performance. Taimanov replied, "I normally play in a relaxed manner, but here I was aware of a sense of mission. This was probably the main mistake. I now know Fischer better than anyone and I am ready to help those who have to play him." But Petrosian and Spassky did not take up Taimanov's offer. After Bent Larsen also lost to Fischer 6-0 and Petrosian lost 6.5-2.5, the officials "forgave" Taimanov and lifted the sanctions against him. After this excuse, the following joke became current: "Why did the Soviet Union expel Aleksandr Solzhenitsyn? Officials found that Solzhenitsyn had one of Taimanov's chess books in his flat." The resulting stress after the match with Fischer also resulted in divorce after 26 years from his concert-playing wife, Bruk, ending their piano partnership. In 1972, he took 3rd as Sukhumi. In 1973, Taimanov built a new career as a solo virtuoso pianist. In 1973, he took 3rd at Sukhami. In 1973, he took 1st at Bucharest. In 1973, he won the Leningrad championship for the 5th time. In 1974, he took 2nd at Vrnjack Banja. In 1974, he took 1st at Albena. In the mid 1970s, he married Jane Averbakh, daughter of one of his Soviet grandmaster colleagues, Yuri Averbakh. In 1975, he took 1st at Decin. In 1975/76, he took 5th-7th at Hastings. In 1976, he played in his 23rd USSR championship (Geller also played in 23 USSR championships). In 1977, he took 2nd-3rd at Vrnjacka Banja. In 1978, he took 4th at Yurmala. In 1979, he took 1st at Bucharest. In 1979, he took 1st-2nd at Wroclaw. In 1981, he took 3rd-4th at Wijk aan Zee. In 1982, he took 2nd-3rd at Budapest. In 1982, he took 3rd at New Delhi. In 1983, he took 3rd-4th at Baku. In 1985, he took 1st at Lisbon. In 1987, he took 2nd-3rd at Sesimbra. In 1988, he took 1st at Biel in the Senior Championship. In 1989, he took 1st at Forli. In 1989, he took 2nd-3rd at Leningrad. In 1989, he took 1st at Malta. In 1990, he took 2nd-3rd at Tel Aviv. In 1990, he took 1st at the Porto San Georgio Open. In 1990, he took 1st at St. Augustin. In 1992, he took 1st-2nd at New York. In 1992, he wrote a book called "I Was a Victim of Fischer." Taimanov sent the first copy to Bobby Fischer, who expressed gratitude and that he liked the book. In 1992, he took 2nd-4th in the World Senior Championship, held in Bad Worishofen. In 1993, he took 1st at the Neisse Open. In 1993, Taimanov won the World Senior Championship at Bad Wildbad. In 1994, Taimanov won the World Senior Championship, held in Biel, Switzerland. In 1994, he took 2nd-3d at Cacak. In 1998, the Philips record company published a double CD with recordings of the Taimanov and Brud duo between 1959 and 1968. The title of the double album was "Great Pianists of the 20th Century. Taimanov and Bruk were the only piano duo in the series. In 2004, at the age of 78, he and his wife, Nadezhda (Nadja), had twins, a boy and a girl named Dimochka (male) and Mashenka (female). The twins were 57 years younger than is first child and 27 years younger than his granddaughter. His wife was 35 years younger than him. In 2008, he played in his last FIDE rated tournament. In 2012, he went to Dresden to meet old chess friends during the "Meeting of Grandmasters 75+." In 2013, at the age of 87, he started a St. Petersburg academy for chess players (ages 5 to 12). In December 2015, he played a 4-game match in Zurich against Viktor Korchnoi, then 84. At 173 years, it was the oldest combined total for a match between two grandmasters. In February 2016, Taimanov celebrated his 90th birthday. At the time, he had 80 students studying at his chess academy. He was the world's second oldest chess grandmaster (only Yuri Averbach is older). He died in Saint Petersburg, Russia on November 28, 2016 at the age of 90, after a month and a half of medical treatment and one and a half years being seriously ill. He played in 23 USSR chess championships (a record equaled by Efim Geller). During his career, he defeated 6 world champions: Botvinnik (twice), Smyslov (3 times), Tal (3 times), Petrosian (4 times), Spassky (3 times), and Karpov (once). See below for these games. Taimanov has opening variations named after him in the Sicilian Defense (1.e4 c5 2.Nf3 e6 3.d4 cxd4 4.Nxd4 Nc6 5.Nc3 a6) , the Modern Benoni (1.d4 Nf6 2.c4 c5 3.d5 e6 4.Nc3 exd5 5.cxd5 d6 6.e4 g6 7.f4 Bg7 8.Bb5+), and the Nimzo-Indian Defense (1.d4 Nf6 2.c4 e6 3.Nc3 Bb4 4.e3 Nc6). Taimanov has been quoted as saying, "When I play chess I think about music, and when I play the piano I think about chess, but I never get them mixed up."